Lev joined Watsi on March 12th, 2013. Two years ago, Lev became the 2273rd member to automatically support a new Watsi patient every month. Since then, 2,833 more people have become monthly donors! Lev's most recent donation traveled 8,600 miles to support Kaung, a toddler from Thailand, to fund eye surgery. Lev has funded healthcare for 48 patients in 11 countries. 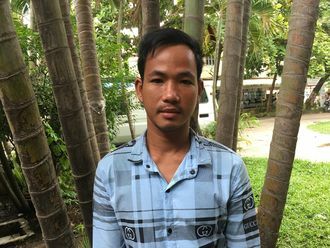 Loun is a fisherman from Cambodia. He has three daughters, five sons, and ten grandchildren. He likes to listen to monks pray on the radio. 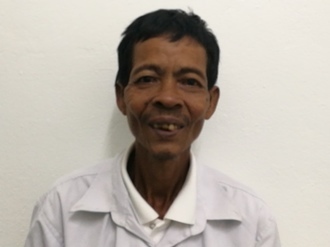 A year ago, Loun developed a cataract in each eye, causing him blurry vision and photophobia. He has difficulty seeing things clearly, recognizing faces, and going anywhere outside. When Loun learned about our medical partner, Children's Surgical Centre, he traveled for five hours seeking treatment. On November 8, doctors will perform a small incision cataract surgery and an intraocular lens implant in each eye. After recovery, he will be able to see clearly. Now, he needs help to fund this $398 procedure. His daughter says, "I am unhappy that my father cannot see well. I hope the surgery is a success." Mcleeves is a teacher in a local high school from Malawi. He has a wife and four children, with whom he enjoys spending his free time. For five months, Mcleeves has been experiencing weakness and problems urinating. These symptoms are caused by an enlarged prostate, a condition called benign prostatic hyperplasia. He needs to undergo a prostate resection surgery, a procedure in which surgeons will remove part of the enlarged gland. Our medical partner, World Altering Medicine, is requesting $733 to fund Mcleeves's surgery. On October 4, he will undergo prostate surgery at Nkhoma Hospital, our medical partner's care center. The requested money pays for supplies, medications, and two weeks of hospital stay. He says, "When my pain is over, I will be so happy to work again, teaching the students. This is a very nice program, and I am thanking God for this provision." Costine is a young student from Kenya. His mother is a housewife, and his father is a farmer. In May, Costine was herding their cattle when he slid and sustained a severe hip fracture. 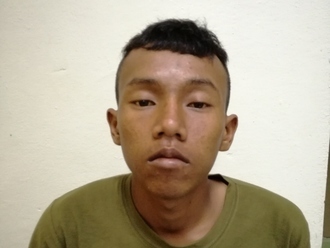 He was rushed to the nearest hospital for first aid and later referred to our medical partner's hospital. He cannot lift or touch anything with his right hand and has not been attending school. Fortunately, surgeons at our medical partner can help. On May 17, Costine will undergo a fracture repair procedure, called an open reduction and internal fixation. Costine will be able to use his hand and help out his parents at home and he will be able to go back to school. Now, our medical partner, African Mission Healthcare Foundation, is requesting $771 to fund this procedure. Costine says, “I miss my friends at school, I want to get treated so that I can rejoin my friends at school."